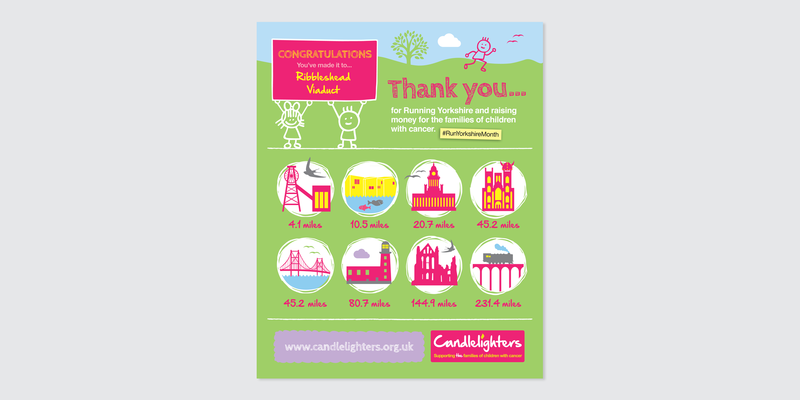 The fabulous folk at Candlelighters asked us to help them to put together a fundraising idea called Run Yorkshire. 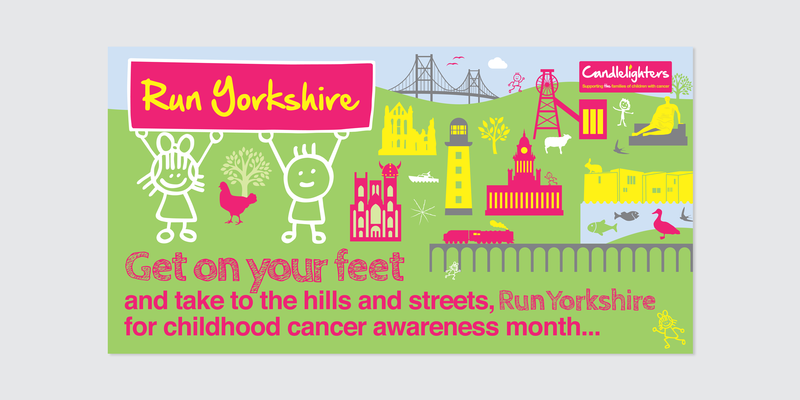 The idea was for participants in the Run Yorkshire fundraiser is to do a virtual run throughout the Yorkshire region. 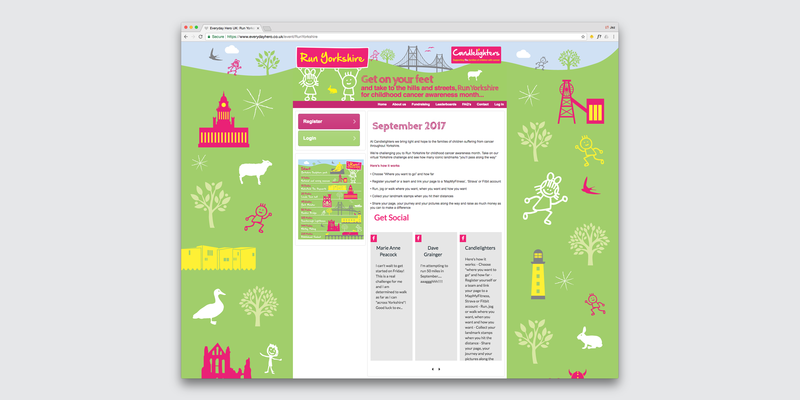 The runners started out on their virtual run at The Yorkshire Sculpture Park and ended their virtual run 232.4 miles away at the Ribblehead Viaduct. We wanted the event to be bright and colourful to reflect the Candlelighters current brand style. 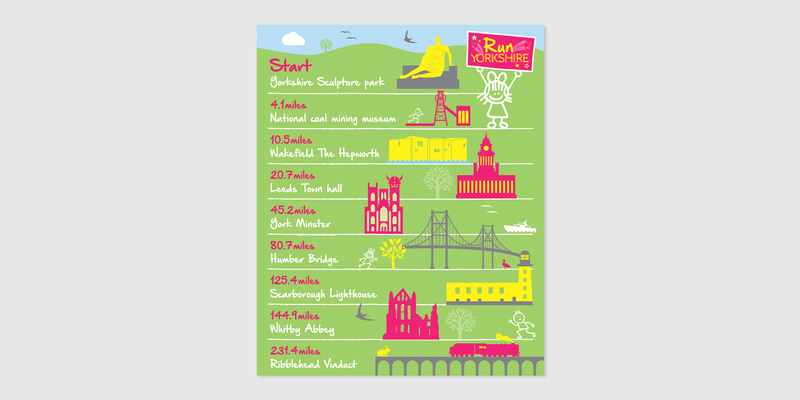 Each location was individually illustrated to represent pictorially where the runners were at any point on their virtual run. The look and feel of the virtual run was to engage with the runners in a fun and exciting way to keep up the moral of the runners as they covered each individual distance.